Trial Run Of The Brooklyn Half Course! My friends! We are less than 3 weeks from the NYRR Popular Brooklyn half marathon! This race came pretty fast but I’ve seen many of you getting at it with all of your training runs! This Saturday, May 5th, 2018, I will be having a trial run of the course with members of the Popular Brooklyn Half Marathon Facebook Group that I host . The trial run is as it sounds – a practice run of the entire course- yup 13.1 miles this Saturday morning! The trial run is free and everyone is welcome to join! As this is a trial run of the course, I would like everyone to meet up at Brooklyn Museum (200 Eastern Parkway, Brooklyn, NY 11238) at 7:45am! Please do not be late! Yes thats nice and early in the morning but keep in mind, the actual starts at 7:00am on race day anyways! This gives you a chance to wake up early and practice your routine and route to the start line! For those of you that don’t live in Brooklyn, can I suggest driving to the finish line area, by Coney Island and parking by the finish line. There is a parking lot in MCU Park that if you manage to park there before an attendant is present, you pay nothing! If an attendant is there, I believe it is $15. This lot will only work for the trial run this Saturday because for race day; this lot will be off limits as it will be used for bag check pickup. For this Saturday however, if you park by the finish line, you can then either take a subway to the start or Uber which is about $10. A few of us are sharing uber’s to the start from the finish line. In order to do this, I would suggest being parked by 7:15-7:30 at the latest! Of course you can take the subway to the start line. The Eastern Parkway Brooklyn Musem stop on the 2-3 line seems to be the closest station to the start line. Check the MTA website to make sure these trains are running on Saturday morning! The course map is above. I also posted details of the the start area and finish area are below. Some of you may remember the trial run of the United NYC Half Marathon course that I held back in February. Unlike that trial run that we held, we should be able to run this course fairly close to the actual course. If you remember we couldn’t get on parts of the United NYC Half Course. That shouldn’t be the case here for the trial run of the BK Half. We should be able to see the entire course! Here’s a brief overview of the course and what we plan on running on Saturday! -The course starts at the Brooklyn Museum and we will run south along Washington Avenue, down to Empire Blvd where we make a right and another quick right onto Flatbush Avenue. -Next we head north on Flatbush Avenue, towards Grand Army Plaza. Runners of the United NYC Half may remember this stretch as it was the starting corrals of that race. -One we approach Grand Army Plaza (at approximately the 1.5 mile mark) we will loop around the Plaza and then head back south on Flatbush Avenue, til we get back to Ocean Avenue. -We will take a slight right onto Ocean Avenue and proceed straight until we get to Parkside Avenue where we will make a right onto Parkside Avenue. This will be around the 3 mile marker on the course map. -Continuing west on Parkside Avenue we enter Prospect park near Machate Circle where we will then proceed to do a full loop within Prospect Park. -Once on Ocean Parkway we will stay on Ocean Parkway and head south for a little over 5 miles until we turn onto Surf Avenue. On the course map this is around the 20k marker or 12.5 miles. -We will continue west on Surf Avenue for about a half mile until west 10th street where we will make a left onto west 10th street once you pass by the Coney Island Cyclone roller coaster. -Take west 10th street one block to the Coney Island Boardwalk – once you get to the boardwalk make a right. -Run on the boardwalk until you reach “Tom’s of Coney Island” -this is the approximate finish line of the race! Group runs are as much about fun as they are about the run! Some things to note – this is not meant to be all out pace. Personally I will enjoy this run and i think you all should too! The weather is supposed to be nice. My definition of nice is Sunny with temps in the 50’s and 60’s for our run! I will likely snap some pictures along the route for myself so that i don’t have to do that on race day! Have fun with this run on what is shaping up to be a gorgeous day! It is highly suggested that you note the course directions above as we likely will not stay together in one big group due to the different paces we have. As such, I would be appreciative if anyone is familiar with the course and would like to volunteer as “pace group captain” on this date for any of the above pace groups! Also to note are bathroom breaks – try and hit the bathrooms before you start. I have been told that there are portable bathrooms at 5 different locations on the loop within Prospect Park with 2 portable bathrooms where we enter and exit the park to and from our loop. The stretch along Ocean Parkway is mostly residential so I’m not sure if you will have access to bathrooms during that 5 mile stretch. Or course when we get to Coney Island, there should be public rest rooms to use also. As for hydration and nutrition, please bring your own! There are 5 water fountain stops within the Prospect Park loop. However once we exit Prospect Park, I cannot guarantee that we will pass by open store fronts. Additionally please bring your own gels or anything you may consume for a 13.1 run. Once we are done with the run we can hangout on the boardwalk and maybe catch a cold adult beverage to “re-hydrate”! If you have any questions or comments – please do comment below! As I mentioned, it’s going to be a nice day on Saturday – let’s get together – meet some fellow runners and take one huge step towards getting ready for the Brooklyn Half Marathon! 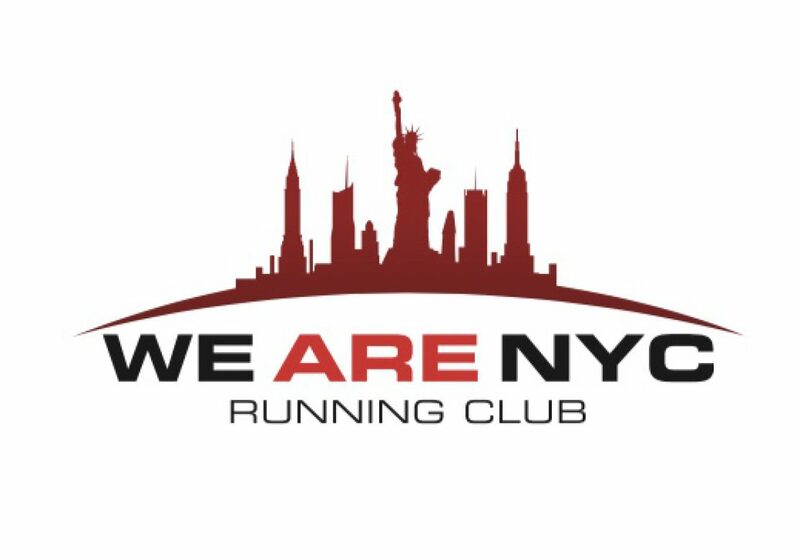 Trial run will be sponsored by We Run NYC Running Club but by all means open to all!